Note: This movie was previously reviewed as part of TIFF. Read that review here. 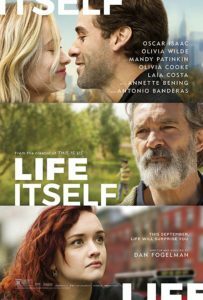 Writer/director Dan Fogelman brings us this drama about an ensemble of characters whose connections are not immediately known. At the film’s premiere, Fogelman thanked his large and talented cast for agreeing to be part of a movie that is so ensemble driven that there really is not a true “star.” Oscar Isaac and Olivia Wilde receive top billing and probably play the most central characters to the narrative, but it’s more likely that they’re there to give the audience a few A-list names to buy a ticket. Fans and haters alike of Dan Fogelman’s series This Is Us probably know what they’re in for. The movie does have a cruel streak for getting us to care about characters before tragedy. It’s not George R.R. Martin levels of death and misery, but you’d be forgiven for feeling pretty raw and messed with about halfway through. Seeing this as I did as part of a film festival helped my enjoyment of the movie. It is split into five separate chapters that feel like their own short films. Some chapters are more apparently connected than others, so there is some fun to be had guessing where the connections will be. Life Itself is a funny movie about untrustworthy narrators and peanut butter sandwiches. If you can take the emotional turmoil it puts you through, then I’d recommend checking it out.